A whole raft of first generation Freesat boxes, including some still available to buy today, will lose access to the BBC iPlayer in September. As spotted on the Digital Spy forums, and announced on the iPlayer website, the BBC has confirmed it won't be supporting the old MHEG-based version of its catch-up and on-demand service beyond September 2016. The move will affect some models only two years old. Some of the affected Freesat receivers are still being sold at various retailers such as John Lewis and Amazon, with iPlayer compatibility prominently displayed in the advertising. We're currently awaiting responses from manufacturers of the affected devices. 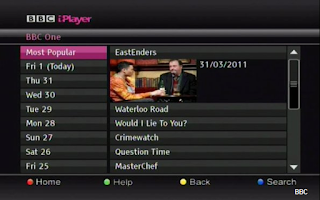 Since 2012, Freesat has been offering a new service called Freetime, which offers a wider range of on-demand players from major broadcasters, including the latest version of iPlayer. Freetime users are unaffected by this change. The BBC says that the decision to cease support is because it's not been possible to migrate older devics to a supportable version of iPlayer. It says that it's not "cost efficient to maintain the implementation of delivering iPlayer to these devices, due to the backend systems and technologies (often 3rd party) on which they depend." Ultimately, those who were early adopters of smart TVs and set top boxes in the early part of the decade have found that various providers have now ceased support for their apps, fuelling a general trend for consumers to opt for cheaper dongles or boxes such as the Amazon Fire Stick, Chromecast or Roku to add smart TV functionality to their TVs, which are generally well supported by broadcasters and are much cheaper to replace. This will never stop happening. Smart TVs and similar devices will become dumb TVs etc. within a few years of buying them. It's better to buy a separate streaming box as the article says. I agree with Owen Smith's comment. The BBC iPlayer situation is now manifesting itself in other Smart TV apps. A very recent announcement being about support for Skype on Smart TVs being withdrawn in the summer by Microsoft which will result in the loss of that App also. I believe Samsung will withdraw it on 02 June 2016. Samsung seem to be removing services every month, though most of them I've never used. Understandable move though by the BBC who've some what standardised the service across all platforms (the front end of it at least). My 2010 Panasonic P42V20B Smart TV (not listed above) is now displaying a message saying that the version of iPlayer on that TV will cease to work. Clearly the list above is incomplete. I'm afraid we've only got the current BBC list of affected devices to go on, as shown above, but thanks for confirming the situation on your TV model.